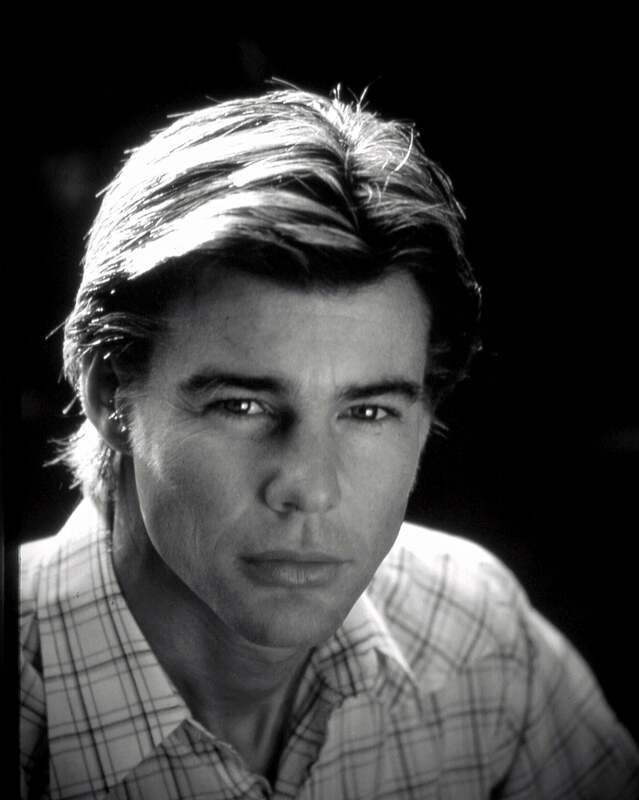 Two times Golden Globe nominee Jan-Michael Vincent died of cardiac arrest on February 10, he was 73. Vincent's life followed the trajectory of a cliché Hollywood script: an unknown is discovered, rockets to the top, stays there for a while, and then tumbles to the bottom. No happy end. Vincent was a classic screen golden boy: good looking, sun-bleached hair, impressive physique, killer smile. Plenty of all the components needed for making a movie idol. The only elements in short supply were smarts, temperament, and luck. And when luck finally ran out, so did his career and his life itself. The baby-faced blonde heartthrob ended with a dark history of violence, addiction, and drugs, resulting in a long string of related arrests and charges, injuries and illness. Vincent was born in Denver, Colorado, to a World War II bomber pilot turned sign painter in civilian life who moved to California where he ran a successful billboard business with his wife. Jan-Michael's grandfather was a more colorful character: a convicted bank robber, an alcoholic who passed the addiction on to his son and grandson. Jan-Michael also inherited the rebellious streak. Pressured to join the family's business, he fled to coastal Ventura, CA. "I just put my surfboard in my car and left," he said in an interview. After three years by the ocean, he went to Mexico and came back to serve in the California National Guard. He kept surfing, and a Hollywood talent scout saw him on the beach and struck by his good looks and athleticism he was able to secure Vincent a contract with Universal Studios. For the next two decades, he worked steadily, acting in TV series ranging from Lassie to Bonanza. In 1967 he got his first film role, a supporting character in the western The Bandits (1967), starring John Wayne (three-time Globe winner, including the Cecil B deMille award) and Rock Hudson (four-time winner of the World Film Favorite Globe, a discontinued category). Vincent soon received his first Globe nomination, playing the son of (Cecil B DeMille award winner) Robert Mitchum in the domestic crime and violence drama Going Home (1971), a story that echoes some of the troubled elements of Vincent's later life. Mitchum's character kills his wife (Golden Globe winner Sally Kirkland) in a drunken rage, and his son's testimony helps put him away. Grown up, he is a bitter, passive-aggressive young man. 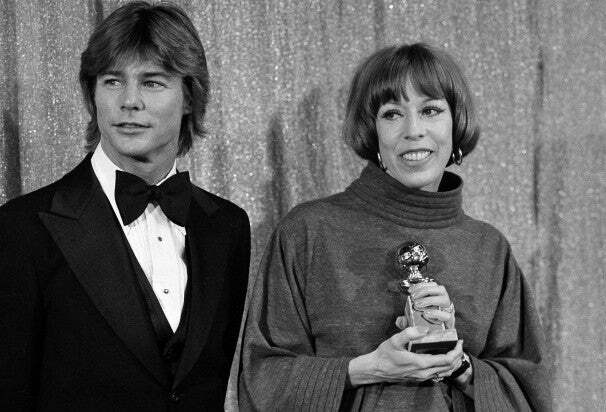 In 1977, presenting a Golden Globe to Carol Burnett. Next, he co-starred with (Golden Globe winner) Charles Bronson in the crime thriller The Mechanic (1972) playing a novice professional killer to Bronson's about-to-retire hitman. (They end up killing each other. In Naples. Don't ask.) A fellow actor, Robert Englund, (who later gained fame as Freddy Krueger of the Elm Street franchise) had a small role in Vincent's next movie, the teen tragic romance Buster and Billie (1974), in which Vincent starred as the title lead, Buster.“Jan was a ‘stand and deliver’ type of actor,” said Englund. “He could, in those short bursts, dominate the scene he was in, and he was very effective." Vincent again was the lead in the post-apocalyptic adventure Damnation Alley (1977) and a co-lead, doing perhaps his best work, as one of a trio of golden Malibu surfer buddies in John Milius’ Big Wednesday (1978). The highly regarded coming-of-age drama follows an arc from the early 1960s to the mid-70s, as the carefree surfers go through maturity, fatherhood, and the looming Vietnam war. It perfectly fit Vincent, a passionate surfer, who did some of his stunts in this ode to surfing. That year, Vincent also played a charismatic, hotshot young stuntman snapping at the heels of a veteran, played by (double Globe winner) Burt Reynolds in Hooper. Vincent again played a son of Robert Mitchum and earned his second Golden Globe nomination in the sprawling TV mini-series The Winds of War (1983) that covered the world events and turmoil from the late 1930s through the Japanese attack on Pearl Harbor in 1941. The pinnacle of Vincent's career came next year when he was cast as the lead in the TV series Airwolf (1984-86), at the then unheard of reported salary of $200,00 per episode. He played daredevil helicopter pilot Stringfellow Hawke, a loner, brooding and idiosyncratic (playing the cello, avoiding red meat, not wearing underwear). The series relied heavily on the zeitgeist: the cold war, CIA operations around the world, espionage, sabotage, and mayhem, ranging from Libya to Vietnam. Vincent's personal, self-destructive problems and increasingly antisocial behavior contributed to Airwolf ending after three seasons. Vincent continued to work, getting small roles in tacky thrillers, the only ones that would risk employing him. His last credit was in 2002. Almost two decades of personal misfortunes followed. Three car accidents damaged his vocal cords and his neck vertebrae. He assaulted a former girlfriend, caused her to miscarry, and was ordered to pay $350,000. Charged for drunkenness he was jailed for violating probation. A later car accident led to infection, a leg amputation and near death complications. A cardiac arrest dealt the final blow. Rest in peace finally, deeply troubled golden boy.